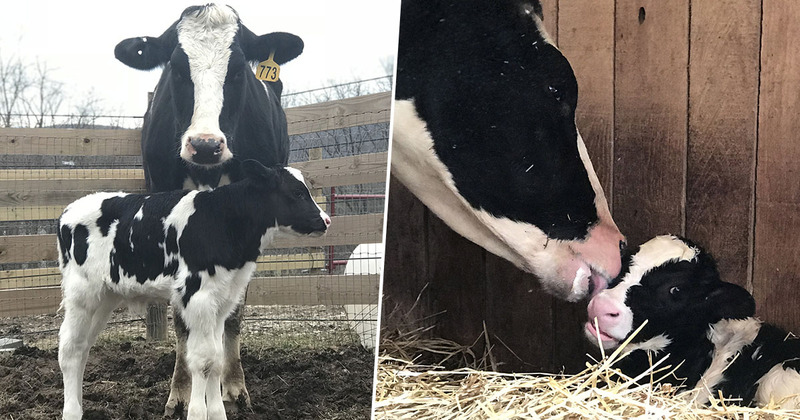 A pregnant cow gave birth just days after escaping a moving truck bound for the slaughterhouse. You might have heard stories about mothers who’ve lifted cars and such to save their children from disaster, but I don’t think there’s ever been a story about a four-legged mum jumping out of a moving vehicle and saving their offspring – until now. The clever cow, named Brianna, must have sensed something bad was coming and performed a Mission Impossible– style stunt to escape her fate, leaping eight feet from the cattle truck to the busy road below. Thankfully, the courageous creature was rescued by Mike Stura and taken to Skylands Animal Sanctuary in New Jersey, US on December 27. I got a call from a friend of mine who’s a police officer. He said there was a cow running down a big highway out here so I hopped into action. I got the rescue truck and headed out. When I got there the police had corralled her off the highway and on to a small road where they got a strap round her neck. She fell out of the transport truck from at least eight foot off the ground while the truck was moving. A witness said she kicked the door out and jumped out on the the highway. At first, the truck driver didn’t even realise. Mike secured the cow in his vehicle and transported her to the sanctuary. He explained Brianna had suffered some abrasions during her great escape, but was otherwise okay. Once at the rescue centre, Mike realised the animal was pregnant and had saved both herself and her unborn calf from the slaughterhouse. I had a vet come and he looked her over and that’s when I found out she was pregnant. 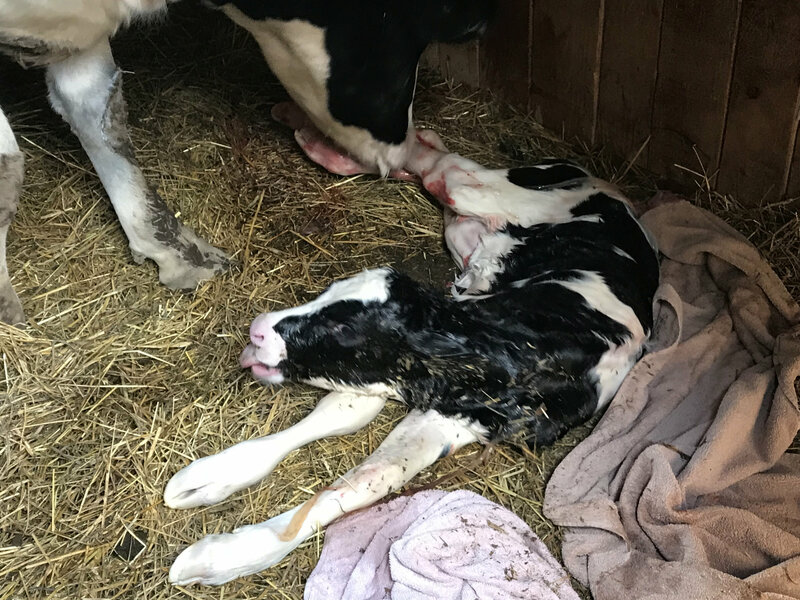 The vet said, ‘There’s a very big calf in there and she’s going to have it in the next week or so’. 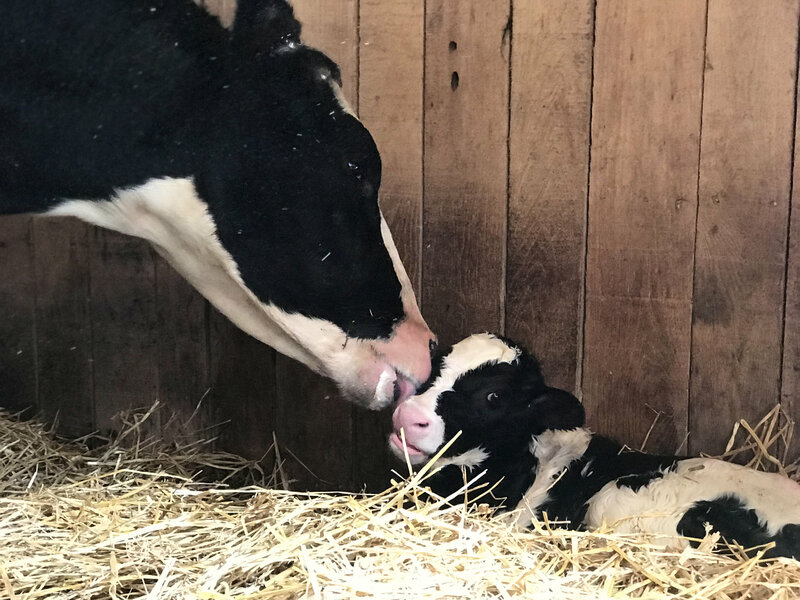 Just two days after arriving at the sanctuary, the mother gave birth to a little calf, who they’ve named Winter. Thanks to Brianna’s escape, the pair are now both enjoying their newfound freedom together. They’re both happy and healthy. Any way you look at it, all these animals want to live. Without question, I could tell you she was scared to death of being in that truck. It’s not good; they just want out. This story resonated with people but many don’t realise how many millions go unseen with this sort of stuff going on every single day. As well as the devastating effects eating meat has on the environment, Brianna’s story shows how the process affects animals; something we should all take into account when buying food in the future, and which we can use to encourage a decrease in meat consumption.